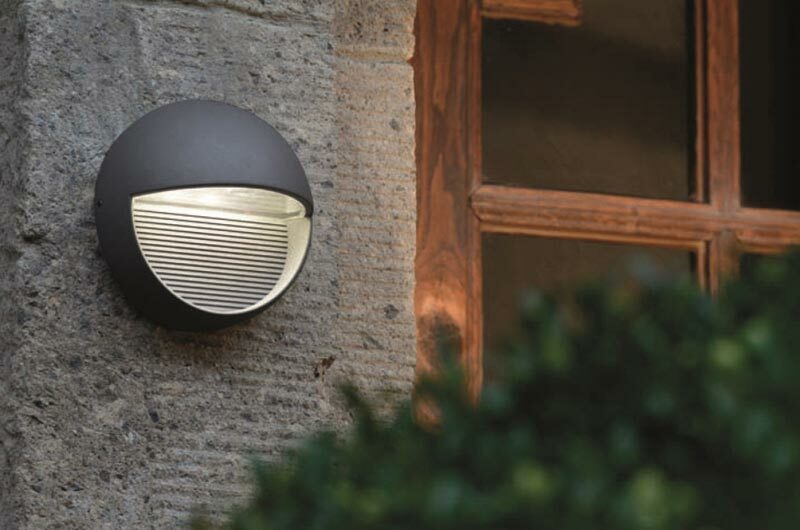 This Elstead Freyr 6w LED round outdoor wall light in graphite finish is rated IP54 and features contemporary style. Circular body, with lower cut-out and hooded top section fitted with a downward facing polycarbonate shade to diffuse the light beautifully. A stylish, compact LED fitting, with polycarbonate lens to protect the lamp housings. The hooded designs make it ideal for use in dark sky locations, where there is a need to reduce light pollution, as well as provide plentiful ambient light. It is polyester powder coated in graphite and ideal for lighting outside your front door, a pathway or patio area. A class II double insulated wall light no earth required and suitable for older properties without an earth loop. Also available with a square body, please see below. 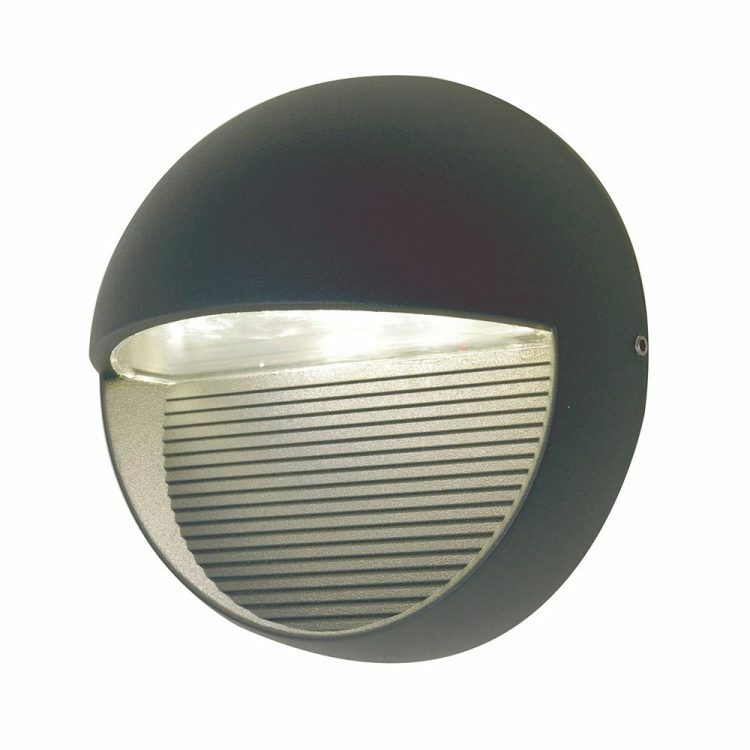 This exterior light is supplied by Elstead Lighting, a British company that specialise in the manufacture and distribution of quality decorative lighting such as the Freyr 6w LED round outdoor wall light in graphite finish and rated IP54 you see here.